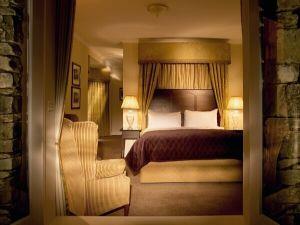 Macdonald Old England Hotel & Spa sometimes limits bookings to 2 or more days. Children are accepted from 15 years. Newly refurbished en suite bedrooms. Tea and coffee making facilities, iron and ironing board, complimentary mineral water and toiletries. Classic Double sometimes limits bookings to 2 or more days. Classic Twin sometimes limits bookings to 2 or more days. Executive Doubl sometimes limits bookings to 2 or more days. Executive King sometimes limits bookings to 2 or more days. Very disappointed as I could not get an invalid Parking space as two residents with no disabled badge were in the spaces. Definitely not worth value for money which we paid..
Would not use Macdonald Hotels again. The Macdonald Old England Hotel & Spa stands right on the shore of Windermere and boasts unrivalled views of England's largest lake. 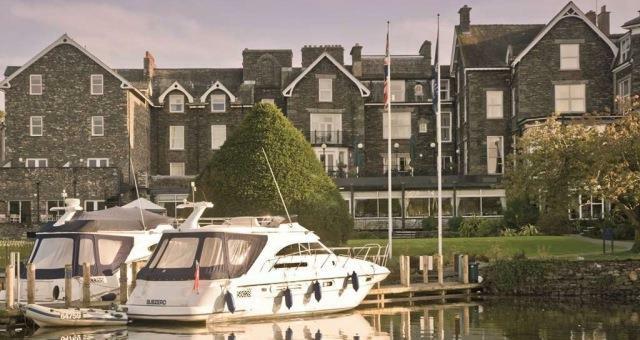 The hotel is an ideal base for exploring Lakeland's towns and villages, rural idylls and outdoor challenges along with a multitude of historic, cultural and contemporary attractions. The hotel rejoices in mature gardens with lawns down to the lakeside. Leisure facilities are situated on low ground floor level with lift access. Children welcome from age 15. From M6 jct 36 follow A590/A591 to Windermere. Follow signs for Bowness Bay. We are situated behind St Martin's Church, 1.5 miles from Windermere station.